Rubenerd: Damn your new iMacs and iWork Apple! Damn your new iMacs and iWork Apple! It happens everytime, when I feel as though I'm finally making progress in moving over to open source software and operating systems, Apple timely throws a curve ball and I'm left sitting wide-eyed looking at a new Mac and thinking about Leopard again! This is no good! 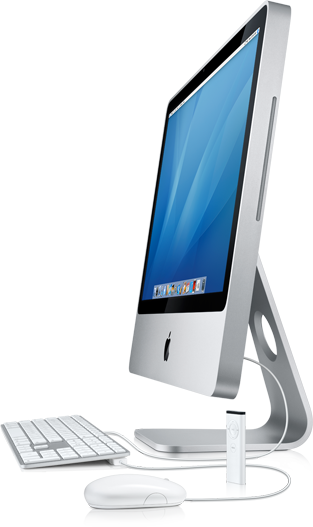 But of the product updates announced, I was more excited about iWork and the new iMac. Finally iWork has a spreadsheet programme! You can download a trial gratis from the Apple website, though it's pretty slow right now probably from demand. Looking at the press release pictures the graph functions look especially stylish, what you would expect from a suite that has Keynote in it I guess. When I have time I'll post a review. 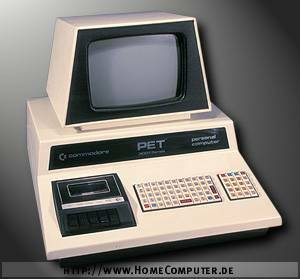 Wait, that's a Commodore PET from 1978, what the hell's that doing there? So with all my talk about being a FreeBSD KDE user on boxes I build myself, deep down inside I'm still a Mac fanboy, especially if this post can make it's way onto Buzztracker page! Newer post ← SingFest 2007!